Surely you know by now that I LOVE GRIT Fitness, right? I’ve been a loyal customer at their East Dallas location from the jump and now, with their brand new studio in the Design District, there is even more to love! 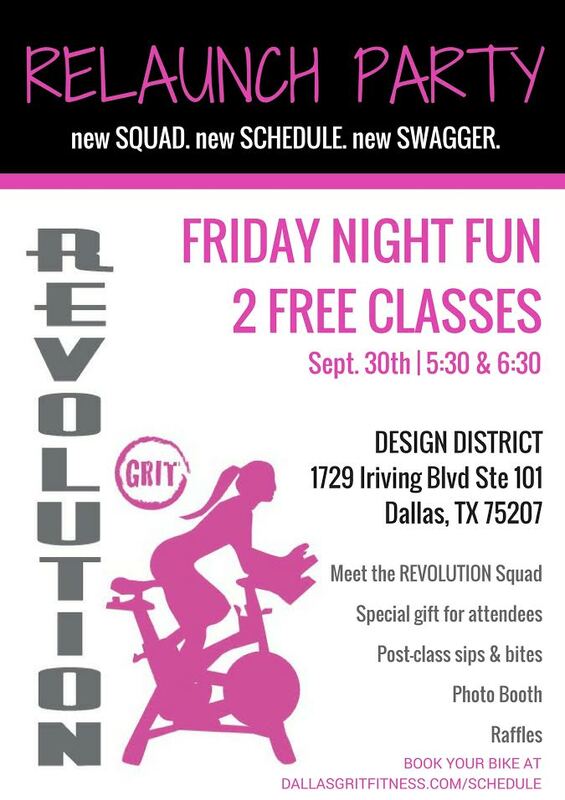 On Friday, September 30th you are cordially invited to GRIT‘s REVOLUTION Cycling Spotlight Party! Yes, YOU! What is a REVOLUTION Cycling Spotlight Party you may ask? Well, luckily I have the scoop and all of the details that you need to know right here! 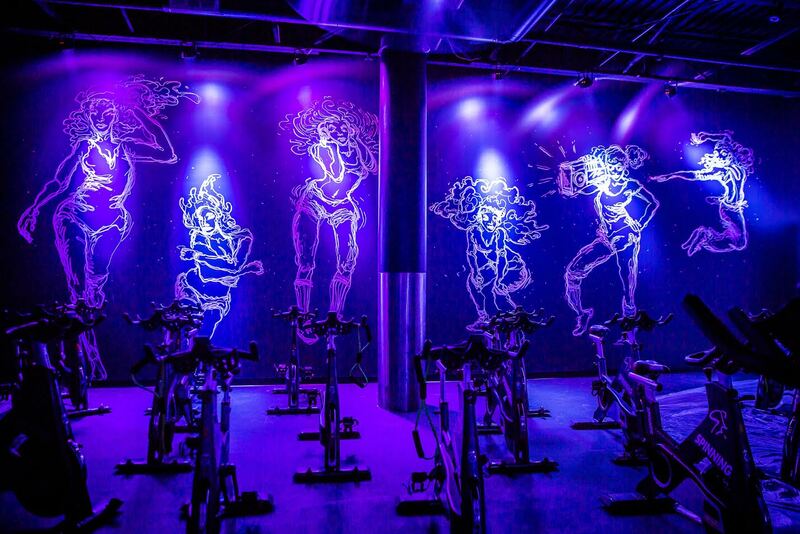 From 5pm-8pm GRIT‘s Design District location is opening their doors for a night filled with fitness and fun. With studio tours, shopping, entertainment, drinks, treats, raffles, swag bags for the first 100 guests AND two free REVOLUTION (cycling) classes being offered, this is one event that you won’t want to miss! So, grab your girlfriends, your boo or ride (literally) solo at this awesome event! What a fun and healthy way to kick off your weekend!